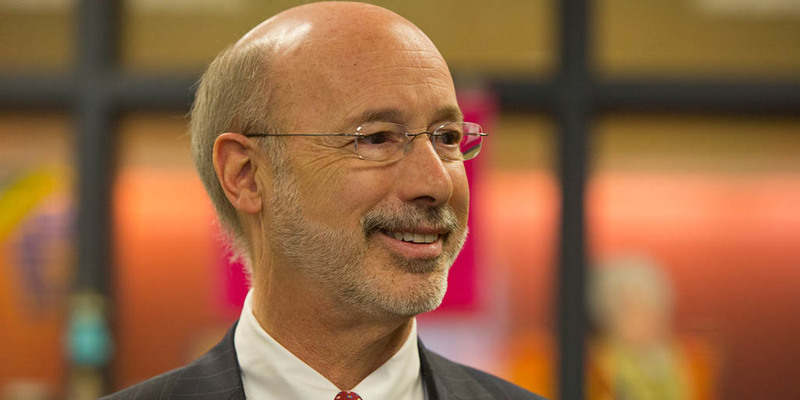 Harrisburg, PA – Governor Tom Wolf announced today that the number of inmates in the Pennsylvania state prison system dropped for the fourth consecutive calendar year, according to new statistics released by the Department of Corrections (DOC). In 2017, the total DOC inmate population dropped from 49,301 to 48,438, a decrease of 863 inmates or 1.8 percent over 2016. After decades of growth that more than doubled the number of prisons in Pennsylvania, the inmate population has declined by 6.4 percent, or 3,319 inmates, since June 2012, allowing for the 2017 closure of SCI Pittsburgh and accompanying significant cost savings. Wetzel said legislation proposed under the initiative would also expand victims’ rights to require police officers to provide victim services information at the scene of a crime, require prosecutors to notify the Victim Advocate on behalf of personal injury crime victims and increase compensation for crime victims. In the decade before the first Justice Reinvestment Initiative (JRI) began in 2012, the DOC population was increasing by an average of 1,262 inmates per year. The Justice Reinvestment Initiative is aimed at reducing the prison population through criminal justice reform and directing the savings to help counties enhance public safety which also further sustains prison population reductions. Better coordination between the Pennsylvania Board of Probation and Parole and DOC has played a key role in driving the reduction, along with the invalidation by the Pennsylvania Supreme Court in 2015 of many mandatory minimum sentencing penalties, said Bret Bucklen, the department’s director of planning, research, and statistics. Luis Rosa, deputy secretary of reentry, credited interagency cooperation and said technology has improved parole processes. Christian Stephens, deputy secretary of field supervision, said several recent initiatives have allowed field operations to safely increase the number of reentrants it can manage leading to more efficient and expedited release process. “We are utilizing proven evidence-based practices, which preserve public safety, such as lowering the caseload ratios by hiring over 150 new agents in the past 18 months, increasing use of GPS, and fully implementing the use of the contact report, which assists our agents in the prioritization of their work,” said Stephens. Among the legislative proposals under the second phase of Justice Reinvestment Initiative (JRI2) are the introduction of “presumptive parole,” where short-term, non-violent offenders are automatically paroled upon completion of their minimum sentence, the expansion of the State Intermediate Punishment (SIP) program, which offers shorter sentences for drug offenders, combined with substance use disorder treatment and enacting a short sanctioning option for technical parole violators, such as the Swift, Certain, and Fair (SCF) approach. The main driver of the population decrease in 2017 was a large reduction in parole violator admissions, which dropped by 10.2 percent in 2017, said Bucklen. And further inmate population reductions and additional cost savings are possible if the continued reforms are implemented. “If we move forward with these proposals, we are projecting a reduction of another roughly 2,500 inmates over the next 5 years, and a cost savings of approximately $91.7 million,” said Bucklen.